Be sure to read the special request under Social Studies. It will be so much fun to locate the different places. Write in complete thoughts (sentences). Know the 4 kinds of sentences and be able to punctuate each. Put related sentences together to write a paragraph. Recognize synonyms, antonyms, homonyms, abbreviations, and contractions. Tell the story elements of stories read. Put the story elements together and write a summary of a story. Tell the subject and predicate of a sentence. Recognize rhyme and write a couplet. Recognize nouns, adjectives, verbs, and adverbs. Be able to decode long words by taking the word apart. Write in cursive handwriting. Please practice. What Should I know before I come to Third Grade? 1. Know your basic facts with sums from 0-20 ( recognition by sight without counting with fingers). 2. Review your basic subtraction facts with differences from 0-10. 3. Review 2 and 3 digit addition with and without regrouping. 4. Study the 2, 3, 5 and 10 times tables in multiplication. 1. Know place value to the hundreds. 1. Know the clock face at least to five minutes. 1. Recognize coins and their values. 1. Measure things in inches and centimeters. Play various Math games or any games that involve counting with keeping score. In third grade we will learn about communities. Think about the different communities that you visit this summer. Is the community an urban community, suburban community, or a rural community. What interesting places did you see? Find the community on a map. See how that community is a part of a larger community. Have fun traveling. We would like to know where you have traveled this summer. 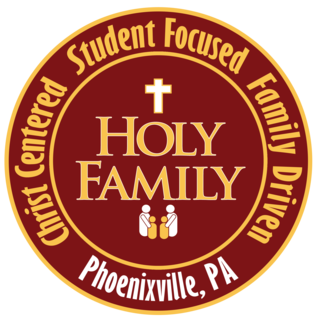 Would you please send a postcard to Mr. McDaniel at Holy Family School 221 Third Ave. Phoenixville, PA 19460? When you come back in September we will locate the different places on the map. You can tell us about the place. CHECK MR. McDANIEL&apos;S WEBSITES FOR FUN WEBSITES TO PRACTICE SKILLS THIS SUMMER! !